Keep your circuits safe with the Asec Lockout Mini Circuit Breaker. 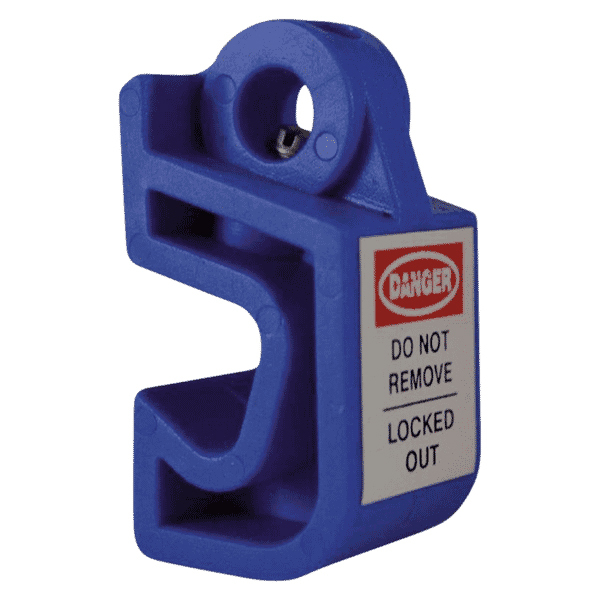 The Mini Circuit Breaker Lockout from Asec, comes in a highly visible blue finish and warning label, to add to the safety of the product. It is easy to use by turning off the breaker and placing the lockout over the switch. By tightening the internal grub screw onto the switch, this locks the unit into place, a padlock can then be fitted onto the hole in the lockout hasp. This prevents access to the grub screw and therefore stops the switch from being operated until the padlock has been removed. Its highly visible red finish adds to the safety of the product. You can be assured that this is a hard-wearing and reliable product as it meets all practices and procedures to safeguard employees from the unexpected energization or startup of machinery and equipment, or the release of hazardous energy during service or maintenance activities.